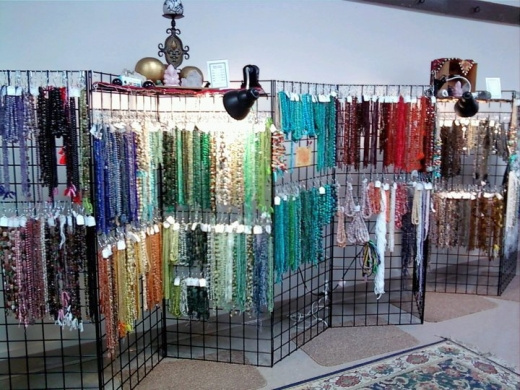 Gemstone Beads - Wholesale and High Quality - Magpie Gemstones, the jewelry designers source for wholesale premium gemstone beads, turquoise, and jewelry supplies. A list of shows close to Austin, Dallas, San Antonio and Houston where the gems and beads get to come out and play. Come out and see the gemstones in person at the following venues listed below. Follow us on Facebook or sign up for our newsletter at the show to get the latest code for a deal at the show. Just say the word MOCHA to Magic (and hello to our new owner!) and get 10% off any size order! Want to know more about the transition at Texas Mapgie? Click here! Admission: $4 adults (or 2 day pass $7) Seniors $3, ages 6-12 $2, under 6 free. Admission: $6 adults, $5 seniors and children under 12, free for scouts in uniform and active/retired military with ID. Admission: $5 adults, $3 children ages 5-12, free for military with ID. $1 off admission for scouts in uniform. Admission: $7 adults, $4 seniors, teens 13-19 yrs old, military. Free for kids under 13 and scouts and leaders in uniform. 3 day passes are $15 for adults, $10 for seniors, teens, and military. Admission: $5 adults, $3 students, kids are free. Admission: $8 adults, $7 seniors, $2 ages 13-18, free for ages 12 and under. Parking offered in the Palmer garage for a fee. Admission: $6 adults, free for kids under 12. Admission: $8 adults, $6 students and teachers with ID, and seniors 65+, free for kids 10 and under with adult. Admission: $8 adults, $3 ages 4-12, free for 3 years old and under and scouts in uniform. $20 for family of 4. Admission: $4 adults, free for kids 12 and under with an adult. Admission: $3 adults, $2 kids ages 6-12, free for under 6. Admission: $7 adults, $3 students grades 6-12, children and scouts in uniform are free. Admission: $5 adults, $3 seniors and military, $2 students, $1 children. Admission: $3 adults, under age 13 are free, and friday is "Dollar Day".